The newest game that will soon premiere at various online casinos would be Pyramid: Quest for Immortality. This video slot features a theme straight from ancient Egypt, uncovering the mysteries lying beneath the pantheon that would lead the players through pyramids and other mazes. As any other NetEnt production, the game would contain tons of free spins, some of which you can get during the next promotion hosted by the Slots Million Casino. Between the 22nd and 25th of October 2015, any actual deposits worth at least 100 EUR will generate 40 Free Spins for this fantastic piece of software that will be widely distributed by the Net Entertainment studio. Playing as many as 500 rounds is going to grant 50 Free Spins more on Pyramid and other new video slots, as well as yet another 500 rounds played will provide additional 50 Free Spins on Pyramid: Quest for Immortality and other games selected by the online casino. 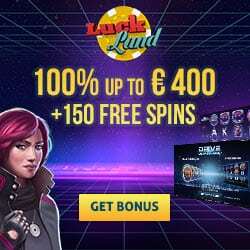 Players can get a total of 140 Free Spins on a single day, with the maximum of 560 Free Spins available during the entire time of this promotion. 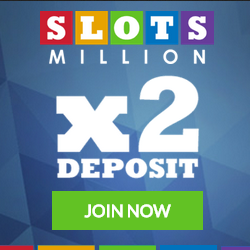 Access the SlotsMillion Casino to get the latest updates and join the action before this campaign ends.